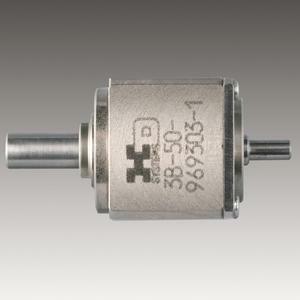 The CSF supermini series gear units are our smallest gearheads available today. Equipped with our proprietary 4-point contact bearing, these mini gearheads are available in two varieties. The CSF-1U-CC is designed to mount directly onto a servo motor, and the CSF-1U offers both an input shaft and output shaft. Choose the version that works best for your application. Both are available in 3 ratios: 30:1, 50:1 and 100:1.